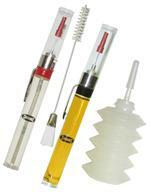 SUGGESTED USES: Protecting and lubricating fishing reels, guns, hunting & fishing equipment, office equipment, quality control equipment, measuring equipment, home appliances, auto parts and recreational equipment. Keep a set in tackle box, backpack, car, camper, tool box, kitchen drawer, office drawer. Accordion bellows bottle precisely places grease where needed. Empty bottle allows you to fill with your favorite grease. 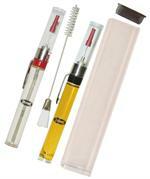 Pen Oiler precisely places oil where needed with your favorite quality oil. 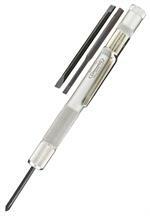 Pen Oiler precisely places oil where needed with high quality oil.